More and more litigants today are agreeing to arbitrate matters outside of the public sphere of the courthouse and hire a private arbitrator to resolve their dispute in lieu of a judge in the court doing so. In the context of a business or contract dispute, the aggrieved parties might be more inclined to consider having an arbitrator decide their case. 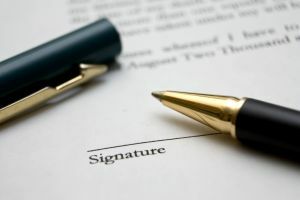 In the context of a complicated or an emotional divorce matter involving matters of child custody, alimony, child support, valuation of a closely held corporation, the determination of exempt and non-exempt assets, etc., the prospect of the parties might question whether arbitration is appropriate to resolve their kind of case. Our state, however, encourages alternative dispute resolution as a means to resolve cases where possible. The New Jersey Supreme Court’s recent adoption of Rule 5:1-5 (effective September 1, 2015) essentially codifies aspects of a 2009 New Jersey Supreme Court decision addressing the arbitration of matrimonial matters called Fawzy v. Fawzy, 199 N.J. 456 (2009). In Fawzy, the parties agreed to go to binding arbitration to resolve all matters related to their divorce proceeding. The defendant attempted to stop the arbitration process relating to the issue of child custody and parenting time on the grounds that it what unconstitutional for an arbitrator to make such determinations given the court’s parens patriae obligation to prevent harm to the child. In a lengthy opinion, Justice Virginia Long of the New Jersey Supreme Court detailed how two parents can certainly agree to submit the determination of custody and parenting time disputes to binding arbitration just as readily as they can agree to resolve these same issues through settlement, as long as it does conflict with the court’s duty to prevent harm to the child. The Supreme Court’s opinion recognized the need for a detailed record in order to make sure that if the family court needs to review or modify the arbitrator’s ruling there would be sufficient evidence to examine. New Jersey Court Rule 5:-1-5, which states that it applies to all agreements to arbitrate and all consent orders to arbitrate, including disputes between parties to any proceeding heard in the family court except (a) the entry of the final judgment of annulment or divorce; (b) actions involving the Division of Child Protection and Permanency; (c) domestic violence actions; (d) juvenile delinquency actions; (e) family crisis actions; and (f) adoption actions. Family court disputes but for those aforementioned five types can be submitted to arbitration if the parties agree. In Fawzy, the New Jersey Supreme Court was also concerned that the parties were fully informed of the process and procedures of binding arbitration before entering into this avenue of alternative dispute resolution. Rule 5:1-5 thus requires the parties to execute an “Arbitration Questionnaire” and to attach it to any agreement or consent order to arbitrate. Section (b) (2) of the Rule 5:1-5 requires that the parties’ agreement or consent order to arbitrate a family proceeding must state that (1) the parties understand their entitlement to a judicial adjudication of their dispute and they are willing to waive that right; (2) that the parties are award of the limited circumstances under which a challenge to the award may be advanced and agree to those limitations; (3) that the parties had sufficient time to consider the implications of the decision to arbitrate their dispute; and (4) that the parties entered into an agreement to arbitrate freely and voluntarily and after due consideration of the consequences of doing so. Rule 5:1-5(b)(2)(B)(i)-(iii) codified more or less Justice Long’s opinion in Fawzy v. Fawzy by providing that: “In addition, in all family proceedings involving child-custody and parenting-time issues, the Agreement or Consent Order shall provide that: a record of all documentary evidence shall be kept; all testimony shall be recorded verbatim; and the award shall state, in writing, findings of fact and conclusions of law with a focus on the best-interests of the child standard.” Further, in regard to family proceedings involving child support issues, Rule 5:1-5(b)(2)(C) states the Agreement or Consent Order shall provide that the award shall state, in writing, findings of fact and conclusions of law with a focus on the best-interest of the child standard. The court rule addresses the minimum of what needs to be contained in an Arbitration Agreement. The Rule furthers the state’s encouragement of the use alternative dispute resolution methods such as arbitration to resolve family cases, but also attempts to ensure that the parties agree to arbitrate knowing and voluntarily, and attempts to ensure that decisions on matters of particular importance to the courts such as custody and parenting time are reviewable should the Court need to act to protect the best interest of children in the midst of such family disputes. It is important to note that the parties can agree to arbitrate one issue, mediate another issue and leave the court to determine all other issues. Rule 5:1-5 further solidifies the landmark New Jersey Supreme Court ruling in Fawzy v. Fawzy and will hopefully lead to cases being more efficiently and justly resolved for the better benefit of the families involved. If you have any concerns about whether your matrimonial case is appropriate for arbitration, the Law Office of James P. Yudes, A Professional Corporation can assist you.